Thanks for writing this week and good for your brother eating all his lunch, again! I tryid to comment, but my computer would not work so one last try now! What a cute bird! I'm from Finland and I have 4 cats and 4 kittens, they would possibly see lunch if they could saw that bird. ;) Your packed lounch looks very nice. I hope you thank your mum every day for making those, it's lot of work. Thank you for searing! VEG, you are awesome, and regardless how the awards go, you are indeed a Great Scot. I've been following your blog for a couple of months now, and sent a complaint when you were temporarily barred from taking pictures. Today I received a response from the Argyll Council. It was nice they responded, but even better they reversed their picture ban. Keep up the good work, and thanks to all the guest bloggers and those who send in pictures from around the world. 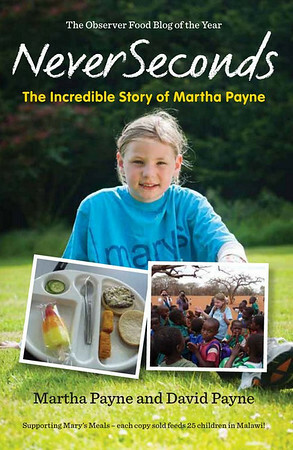 It's fascinating to read and see them, and your work on behalf of Mary's Meals is brilliant! George in Spokane WA, USA. These posts always make me so hungry! It's what we Aussies call Cantaloupe! Wow, I live in the US and I've seen that type of bird but only in the Australian exhibit at the zoo! How wonderful to see it out in the wild! I'm interested in the pancakes...that's nothing I've ever done. I am a mom to a 4 year old and it looks like something she would like. Our "pancakes" are big and fluffy and wouldn't roll up. This looks like something we would do with a tortilla. Could someone give me an idea of how to make that??? Looks like the pancakes - Pfannkuchen - we got here in Germany. You can make them "pure" for spicy filling or sweet. Mix ingredients together until smooth. Should be enough to make four pancakes, so pour about 1/4th of the mass into a pan with melted butter. Make sure to spread the mass evenly in the pan. As soon as the upper side isn't wet anymore, turn the pancake over to bake it on the other side too. IIf You use a spread with a creamy dressing (or one based on mayonaise..) it might be good to let the pancake cool a bit, so the dressing doesn't get runny. Here in Germany we use marmelade / jam for that. Just spread some over the still hot pancake and make a roll from it. Or we add fresh fruit slices to the mass when it's put in the pan. Thin slices of apple are good, but nearly any fruit can be used. Just try it and see which fruits serves You best. Thanks everyone. I really like the idea of a savory one. Us Americans tend to eat too much sugar!!!! "I am going to miss writing this. " You can get some help and set up your own blog and keep writing. Your audience won't be as large, but you will still enjoy writing the articles. It's been a joy, Pavlova! Is a rock melon what we call a cantaloupe here in the U.S.? Also, all week long I've been wondering what the little red disks attached to the food containers are. Is it a neat gadget that keeps it cold? It's rubber to prevent slipping on surfaces. Such a great week of blogs Pavlova, thoroughly enjoyable reading. Perhaps if this continues past the Malawi trip you may be able to guest blog again. Thank you from the UK and all the best! I love this blog and I've enjoyed reading Pavlova as much as I enjoyed reading Blod from Wales. Great guest bloggers in the true spirit of VEG. I'm in a little town on the Spanish-French border called Colera, (pronounced Culaira), how many seconds? Pavlova, you did an amazing week of lunch reviews. Thank you for the wonderful pictures and commentary. It would be difficult to ignore the Kookaburra for long in the morning. No sleeping in with that loud call outside your window. Better than a rooster/cockerel. Took me about 90 seconds to find Colera on Google maps (I enjoy switching from map setting to satelite setting to get the gist of an area.) It is about 5km from the Spanish/French border on the Mediterranean coast in Catalonia. My guess 'bona nit' is either Catalan or Aranese (Occitan). Right Bill, Bona nit is Catalan and we are on the coast where the sea is crystal clear. Well done Pavlova, you write really well. Please keep it up if only for your own pleasure, never lose the joy or writing. Maybe we should a target for UK donations to get more out of the taxman. GiftAid figure now standing at £18,415.33. Get going UK! 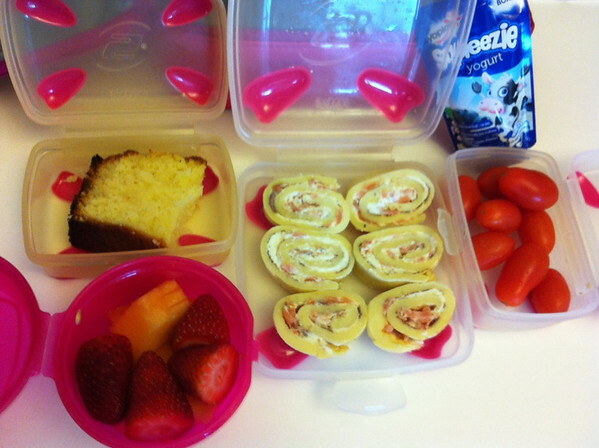 Dear Pavlova, thank you for inspiring me to make vietnamese springrolls today for my packed lunch! They were lovely! But the sauce I made to dip them in was not as good as I know it from the restaurant! Anybody else remember the Kookaburra round-song from Girl Guide/Scout camp as kids? Meredith, you could make those pancakes with your regular pancake recipe. Just add enough more milk so that your batter is very thin. I love looking at Bento boxes, but I don't think I could ever bring myself to eat anything out of one. They are such an art form by themselves that I wouldn't want to take something out to eat it and mess up the intricate design. And the photo of the antique one is exquisite! I love the idea of kids having something healthy to "crunch and sip" on during the day. Thank you for a wonderful week of great blogging, Pavlova!! I remember singing that! 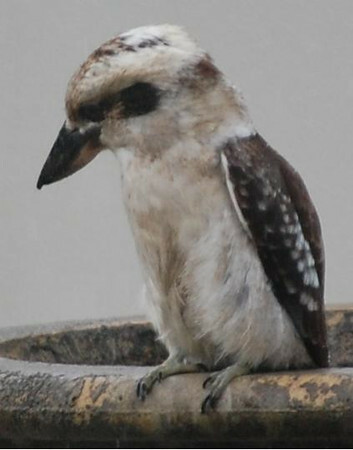 I love the picture of the kookaburra and all your blogging this week. Nice to see this dish i am very eager to taste this color of this desert also super..